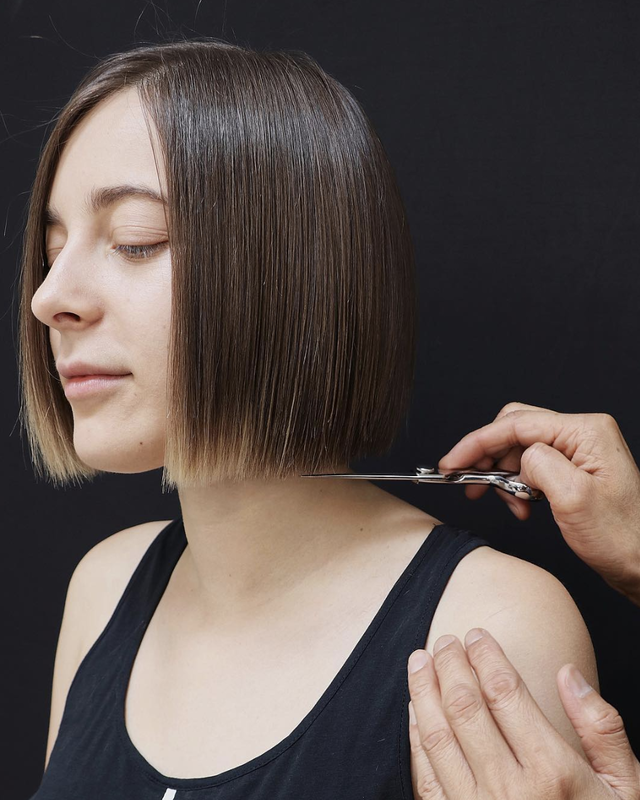 Sleek, modern and classy, Anh demonstrates the versatility of the soft-undercut bob length cut with this super straight style that emphasizes shape and line. The hair was first blow dried straight, prior to being prepped with L’Oreal Professionnel 10-in-1 for heat protection and shine and straightened to eliminate any natural texture. By doing so, Anh is able to go in with precision to cut exact and ultra straight lines all the way around the head. The cut is finished off with delicately point-cutting the ends for soft movement and a bit of Mythic Oil on the ends for more shine.